Today was a long, and sometimes frustrating, day of listening. The morning began with worship led by the youth. I was on the Conference Youth Council as a teen and although the organization of this group has changed tremendously over the past 30 years, the comradery and energy of the youth are much the same. Next we all had the chance to attend one of several workshops. I chose to go to one on a book called The Anatomy of Peace, which teaches a framework for resolving conflict. It focuses on becoming aware of personal behaviors and reactions and learning to change your way of being from a Heart of War to a Heart at Peace. The concepts were very interesting and easily applied to everyday life. The principles in this book were adopted by the The Way Forward (the small world wide group that is working through our conflicts over sexuality) as their model for very different people treating each other with tremendous compassion and respect. After the workshops, there was a speaker talking about Evangelism for Non-Evangelists. He was energetic and enthusiastic and had some great stories and ideas. After lunch, we watched an excellent video of a pastor from the Baltimore/Washington Conference talk about his experiences as part of The Way Forward. 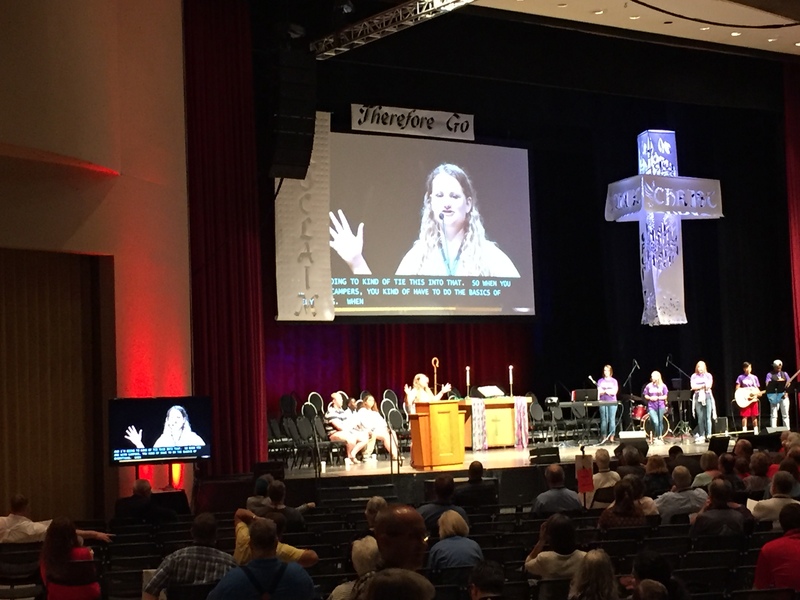 He spoke of “learning to walk loosely or part with a blessing”, urging all United Methodists to be gentle with each other as we determine whether to be connected or divided. 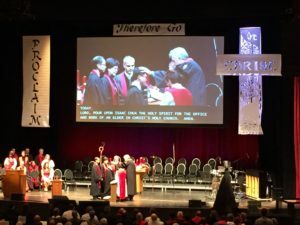 The special General Conference will bee next February to make the decision about this issue, which will determine the future of United Methodism. 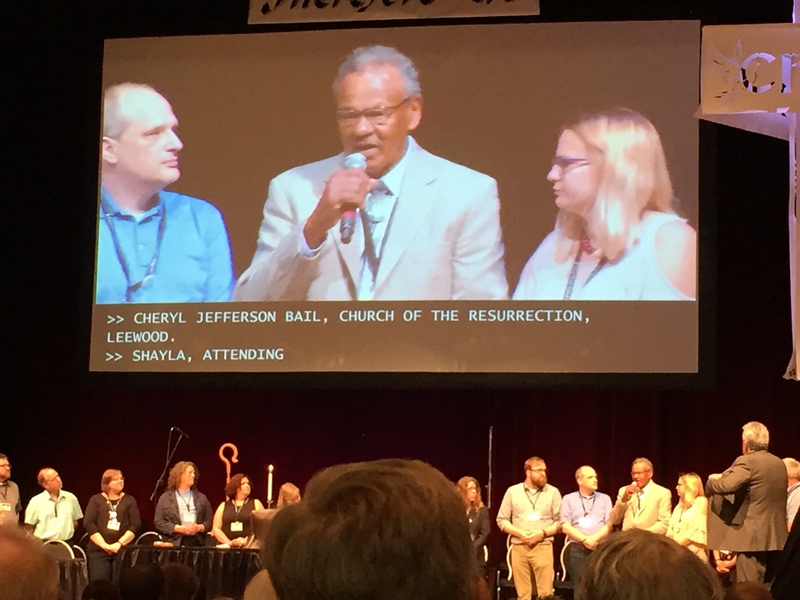 We prayed for all General Conference delegates, including Shayla Jordan. The Bishop urged all of us to remind our congregations to pray for them, too. Last year, we voted on several constitutional amendments, including several on gender equality. The amendments passed easily in the Great Plains Conference, but not in many other conferences, to the frustration and disappointment of many. Later it was discovered that the wording on one of the amendments was incorrect on the ballots, rendering the vote invalid. So we re-did the voting today. Once again, I voted in favor of this amendment. Constitutional amendments must be voted on by every conference world wide, so it will be months before we learn the outcome of today’s vote. The rest of the afternoon was spent going over resolutions. Some resolutions passed quickly and without issue, but others involved conflicting opinions, amendments to amendments, and arguments over parliamentary procedure. I have no patience for these sorts of details, so I found all of this either boring or frustrating. –We approved resolutions to close 5 churches. The Bishop prayed for the “saints” of these churches and honored the clergy and laity that served them, past and present. 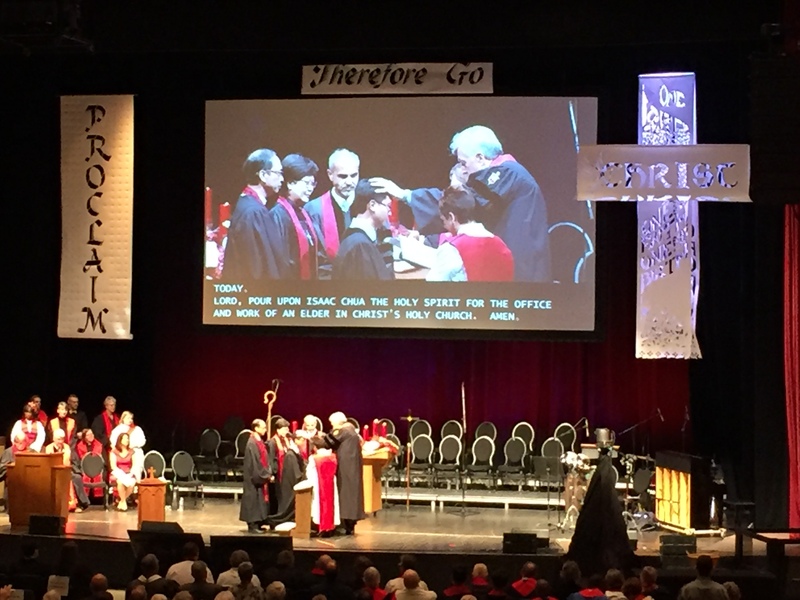 –We approved a resolution to allow laity who chair committees to have a vote at Annual Conference. –We did not pass a resolution to urge the Conference, congregations, and individuals to divest from corporations that are in violation of human and environmental rights in their treatment of Palestinians. The companies include Caterpillar, Motorola, and Hewlett Packard. There was much contentious argument of this resolution and it’s subsequent amendments. Shayla Jordan spoke in favor of the resolution and gave eloquent descriptions of visiting people in Palestine and how these companies are intimidating and oppressing Palestinians. Ultimately, the resolution failed. This evening I attended the Ordination Service. 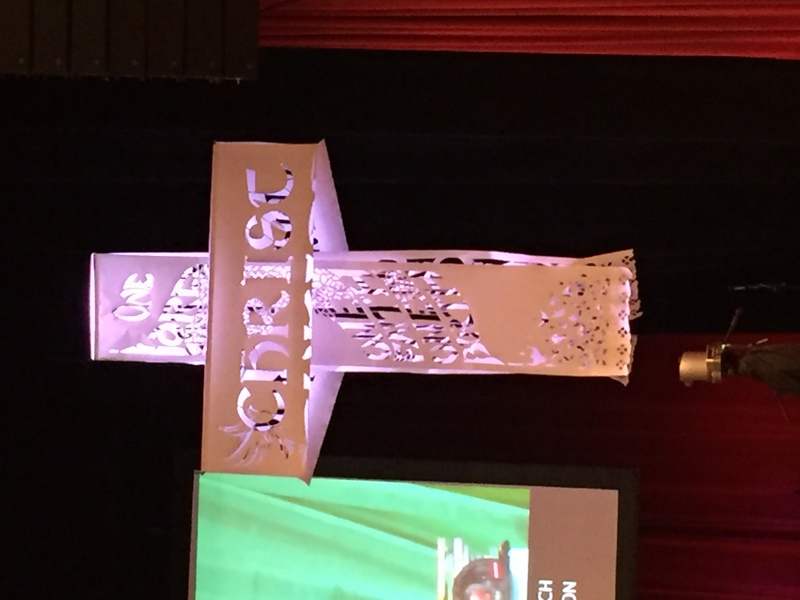 This is always a solemn and moving worship service, followed by great celebration. 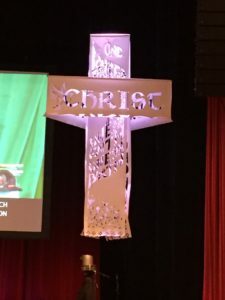 Bishop Cynthia Fierro Harvey, who is from the Louisiana Conference, gave a wonderful and inspiring sermon. 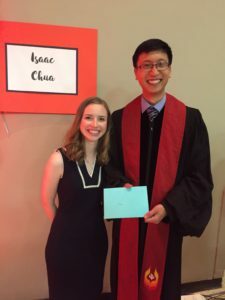 Isaac Chua, who was one of Grace’s student pastors, was ordained a full elder. 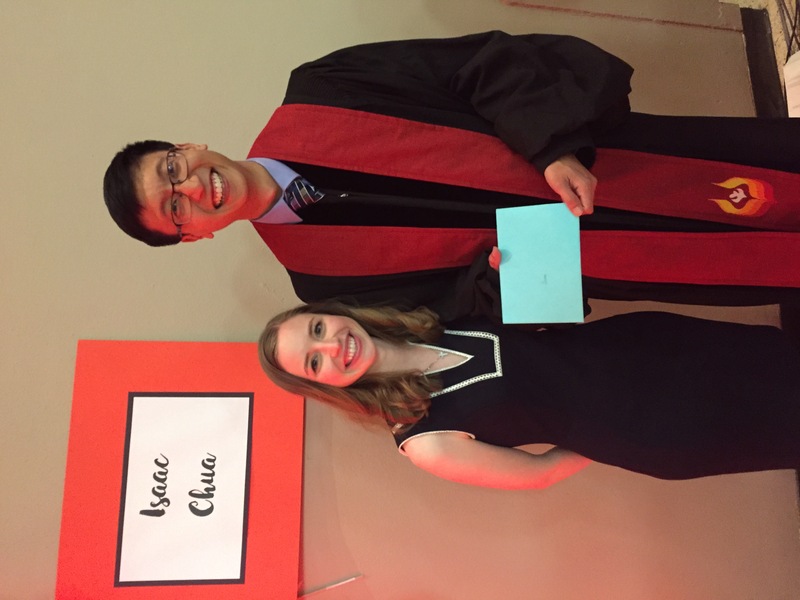 I was honored to stand in support of Isaac on behalf of all of Grace. Tomorrow morning we will finish up the last of the resolutions and reports. One last day of Annual Conference to go!